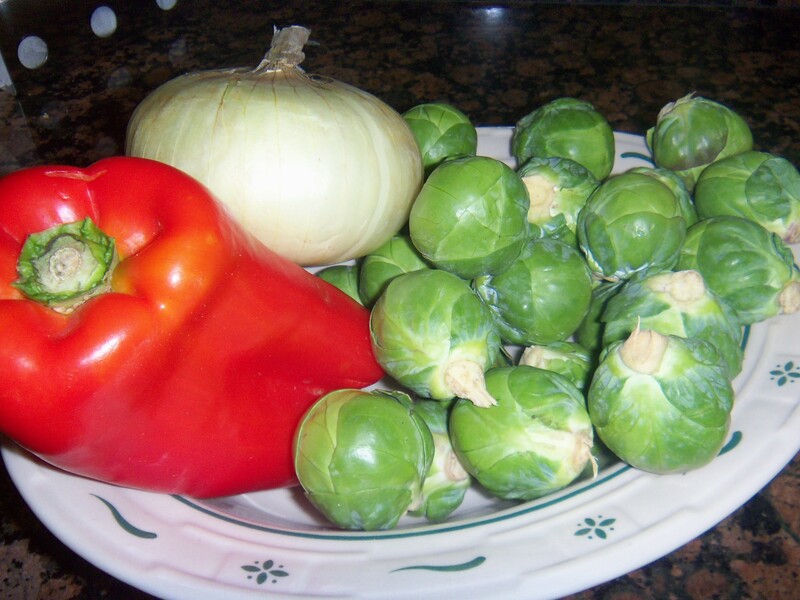 I just love when brussel sprouts make the Produce Geek‘s picks of the week ! Although, they’re not a “traditional” stir-fry ingredient, they are absolutely one of my all time favorites. They’ve got substance, and they pair well with other veggies surprisingly well. This week, I combined them with sweet red bell peppers, onions, eggs & a combo of spices. I think you’ll enjoy the varied colors, tastes and textures . Serve it up with some rice if you like, but it’s equally delightful on its own. Vegetarian/vegan? Vegans, use your favorite beans instead of the eggs. Gluten Conscious? You’re in the clear! Warm olive oil in an extra large deep frying pan or wok on medium heat. 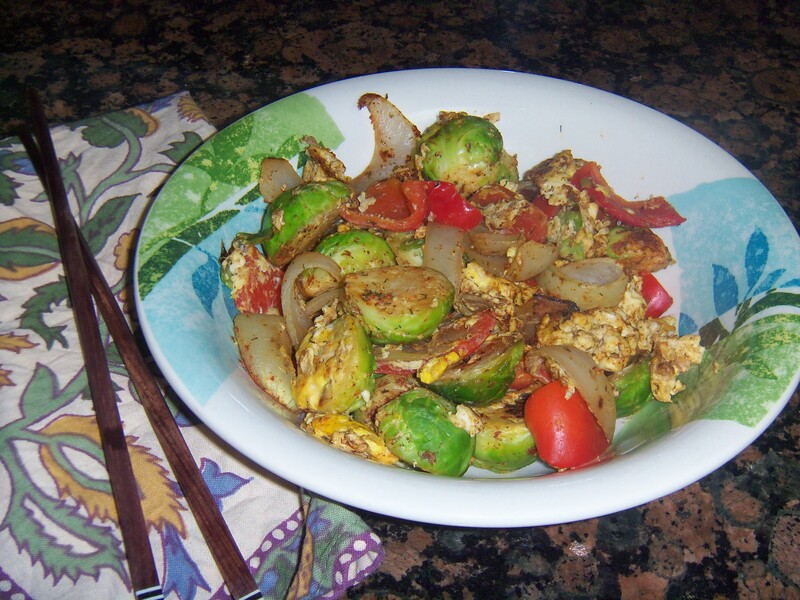 When the pan is hot, add onions, peppers and brussel sprouts. Stir often until tender, but not overdone. Decrease heat to low and add eggs. Stir often until eggs are thoroughly cooked and distributed throughout. Add spices and stir until well-mixed. Serve (over rice if you wish) and enjoy!